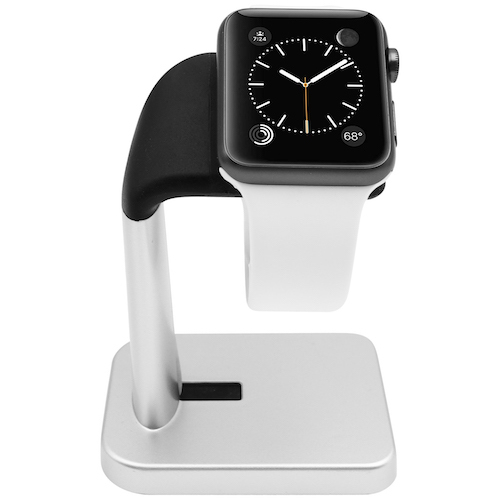 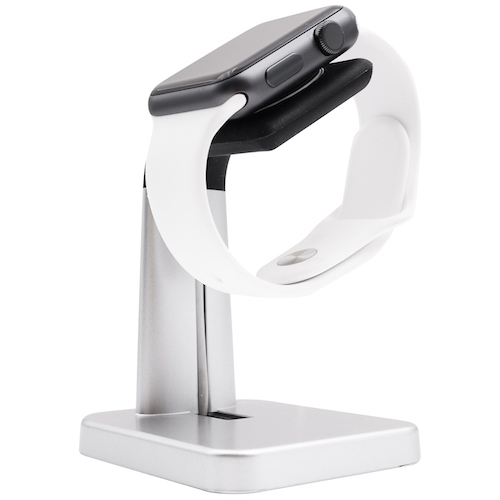 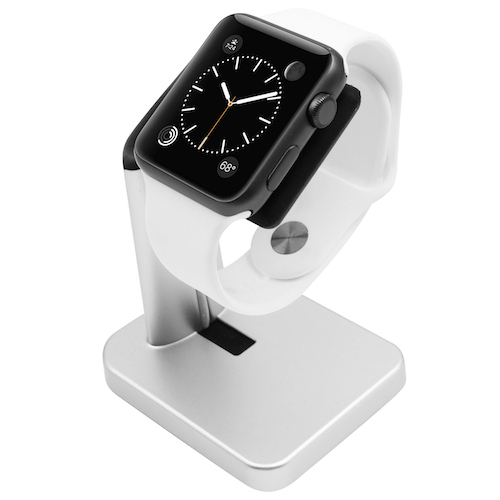 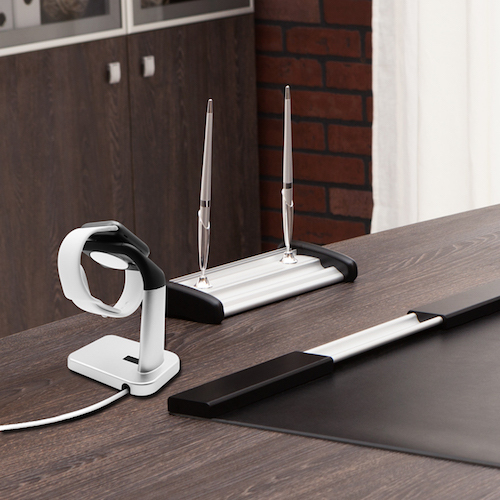 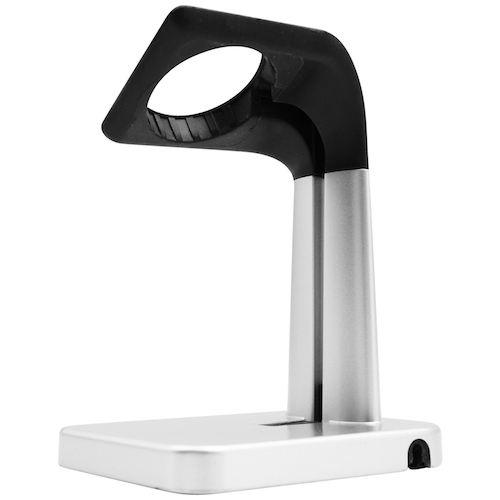 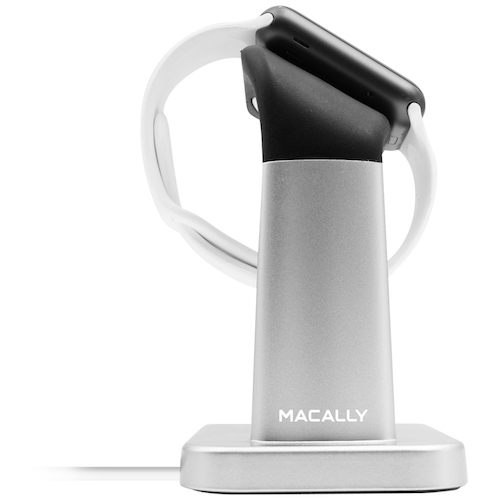 The Macally MWATCHSTAND is a stylish and sturdy stand specially designed for Apple Watch. 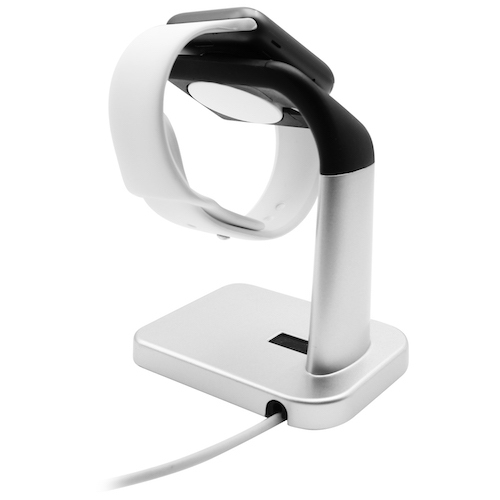 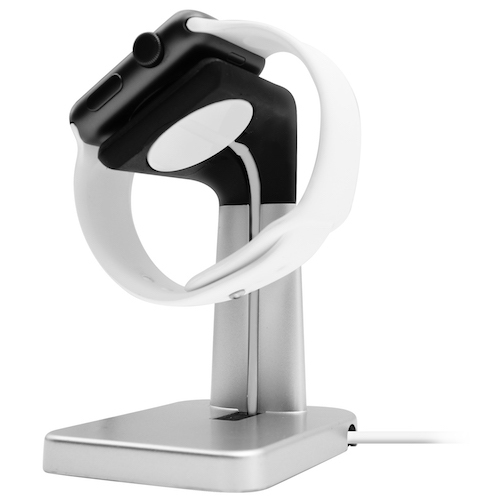 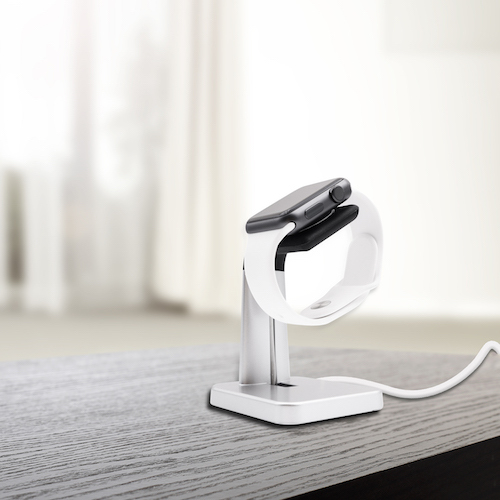 The stand has cut outs to perfectly fit your Apple Watch charger and to channel the charging cable and helps you keep your desk/nightstand organized and clean. 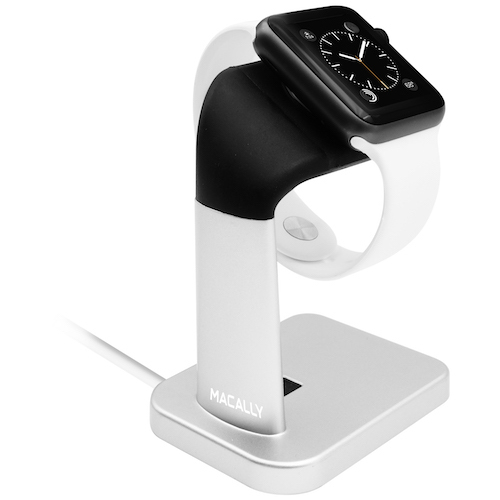 The Macally MWATCHSTAND stand has a convenient viewing angle and keeps your Apple Watch within easy reach!